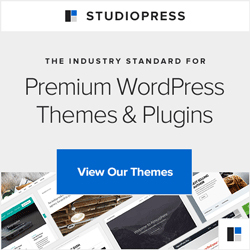 If you are looking for a WordPress website designed for you or help making changes to an existing website here are some great designers and developers around Australia. These are either companies that we’ve worked with or had recommended to us by colleagues. These companies range from design, developers to full service agencies. Do your research and find the best fit for your project! Maddison Designs provide a range of services including WordPress theme creation and customisation, web design and development, web maintenance and trouble shooting. They are a small, independent design studio based in Melbourne who are actively involved in the WordPress community. Be sure to check out http://easywpguide.com, it’s a great resource! For more information check out: http://maddisondesigns.com/. Pixel Storm are a Melbourne based web design and web development studio, they offer a wide range of web related services. They do lots of very cool work, for more information check out http://www.pixelstorm.com.au/. Paul Johnson is an active member of the Australian WordPress community and knows his stuff. I first met Paul at WordCamp in Sydney and he’s always been open to sharing his experiences when it comes to WordPress, web development and online marketing. Paul knows WordPress backwards and I have no hesitation recommending him for any web projects. For more information check out: http://www.pauljohnson.id.au. 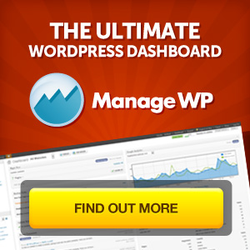 Tim Osborn is a very talented developer who is extremely experienced in working with WordPress. I met Tim a few years ago and have been following his work ever since. If you’re looking for a high quality custom theme or a skilled front-end developer, I’d highly recommend Tim. For more information check out: http://memelab.com.au/. Boxless are also passionate about WordPress and provide WordPress setup, training and online marketing services. They have the expertise and a business focus so are a great resource for business owners. We’ve seen Andrew from Boxless present at WordPress meetups and have no hesitation in recommending him for any of your web projects. For more information check out: http://www.boxless.com.au/. The Web Princess is a freelance web developer who is also extremely active in the WordPress community and is one of the key organisers for WordCamp. We have watched Dee present several times and her passion for WordPress is inspiring. She offers services in WordPress theme development and static web content conversion. She has a great portfolio of websites she has developed that you can check out on her website. For more information visit: http://thewebprincess.com/. Eleven are a super slick digital agency that provide unique website design and custom WordPress themes. The company was founded by Blaz, a graphic designer and Aaron a web developer. We have seen Aaron present at WordPress events and he really knows his stuff! For more information visit: http://www.elevenmedia.com.au/. Gary Eckstein is MBA qualified and has worked with WordPress and SEO for many years. He is a WordPress specialist who provides many services including design, training and consulting in WordPress. For more information check out: http://eckstein.id.au/. Peter Mead is a WordPress Consultant, offering Website Design and Blog setups, tutorials and support services. Also specialising in local SEO Internet Marketing, and Social Networking, Email Marketing and much more. Peter will work closely with you, as a web consultant defining a strategy so that you get the best return on your WordPress Website investment. For more information visit: http://petermeadit.com. Shortie Designs is the brainchild of Sofia Woods; a freelance web designer, web developer, copywriter and social media strategist. Her client focused approach means that she works with you to develop a sophisticated digital vision that delivers to your target. Check out: http://shortiedesigns.com/. Jordesign is a web design studio based in Wollongong, NSW. We specialise in lovingly crafted websites that are both beautiful & functional. I saw Jordan deliver a fantastic talk on responsive web design at WordCamp Sydney 2012, “think mobile first”. For more information visit: http://www.jordesign.com/.